Anthropologists have discovered that the human family tree, that branch of the hominins that led ultimately to our own species H. sapiens, is very complicated. 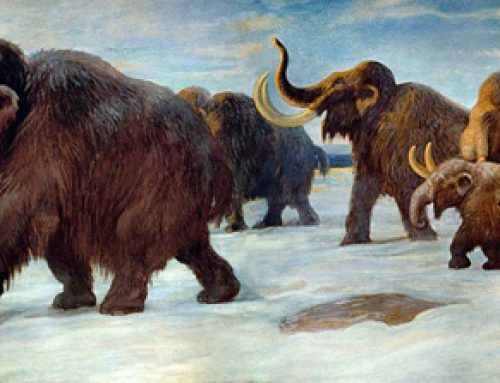 We might like to think that our own evolution was pre-destined, once the first apes that left the trees and started to walk upright on a regular basis, our big-brained species was bound to come along, but that does not seem to be the case. For example, scientists have now concluded that there were at least four species of hominin present in Europe and Asia up until relatively recently. 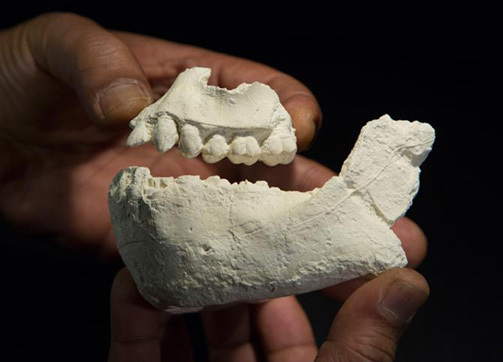 In a new paper, published in the “Proceedings of the National Academy of Sciences”, researchers have reviewed Late and Middle Pliocene hominin fossils and concluded that there were multiple species of early hominins around between 3.8 and 3.3 million years ago. It seems that “Lucy” the most famous example of Australopithecus afarensis had company – lots of company in fact. Late Miocene and Pliocene hominin diversity. Four decades ago, the number of early hominin fossils discovered in eastern Africa was very low. We recall anthropologists joking, but with some degree of truth, that the entire east African hominin fossil record could be packed into a single, large suitcase. However, recent fossil discoveries have greatly increased the amount of fossil material known and raised the possibility that early hominins in Africa were at least as speciose as later members of the human family tree. The graph above plots the current recognised species of Late Miocene and Early Pliocene hominin species over the last seven million years or so. The different coloured columns represent different taxa and the length of each column equates to the approximate length of time that each taxon is known to have existed. Dotted parts indicate uncertainty in the age of a taxon or the absence of fossils from that particular time span. Lucy, as a member of the Australopithecines (southern apes), and an A. afarensis represents a species that lived from approximately 3.9 million years ago to around 3 million years ago. The solid, black line forming a rectangle shape on the timeline around 3.6 million years ago shows the presence of multiple hominin species during the Middle Pliocene. It seems that Australopithecus afarensis had lots of other hominin species for company. In the diagram above, the dashed rectangle situated around the 6 million years ago mark, indicates possible hominin diversity as far back as the Late Miocene, if the three earliest named hominin species represent different taxa. The authors of the scientific paper, Dr. Yohannes Haile-Selassie and Dr. Denise Su (The Cleveland Museum of Natural History), in collaboration with their colleague Dr. Stephanie Melillo (Max Planck Institute for Evolutionary Anthropology, Leipzig, Germany), have compiled a detailed review of the current fossil material of early hominins, collating data from fossil discoveries from Ethiopia, Chad and Kenya. This review demonstrates the complexity of the early hominin evolutionary tree and it raises the intriguing question, how did these early humans relate to each other? For example, was there niche partitioning taking place? How did these different species compete for resources? The idea that a number of Australopithecines co-existed is not new. Back in 2015, Everything Dinosaur reported on the discovery of Australopithecus deyiremeda by a team of researchers led by Dr. Yohannes Haile-Selassie. This new species was named after four fragmentary pieces of fossil jaw bone complete with teeth, which represented three individuals had been discovered in the Woranso-Mille area of the Afar region in March 2011. A cast of the jaws of A. deyiremeda an Australopithecine from northern Ethiopia. Putting an Evolutionary Foot In It! The paucity of the fossil record and the highly fragmentary nature of most of the known fossil material makes interpreting the fossil record extremely difficult. Perhaps the most compelling evidence for the presence of more than one type of early human species in eastern Africa between 3.8 and 3.3 million years ago, was the discovery of a partial foot (the Burtele foot), in the Woranso-Mille region of Afar, the same area where the jaws of A. deyiremeda were discovered. A partial right foot with an opposable big toe representing an as yet not described species of early human. The specimen (BRT-VP-2/73), is photographed above in the correct anatomical position. These bones represent the right foot and the bones on the left of the picture are the big toe (hallux). Researchers have concluded that this digit was opposable, so the foot was also used for grasping. The foot bones, referred to as the “Burtele foot”, come from strata that is little younger than the strata where the jaw bone fossils of Australopithecus deyiremeda were found. However, it is possible that these two species may have co-existed. The foot represents a species that was contemporaneous with A. afarensis and probably several other early hominin species too. Assessment of the walking abilities of the creature represented by the Burtele foot, indicates that its locomotion was different from that of A. afarensis, perhaps the foot bones provide evidence to support the idea that a more ancient human-like species, Ardipithecus ramidus persisted much longer than previously thought, or these foot bones could represent an as yet unknown species.